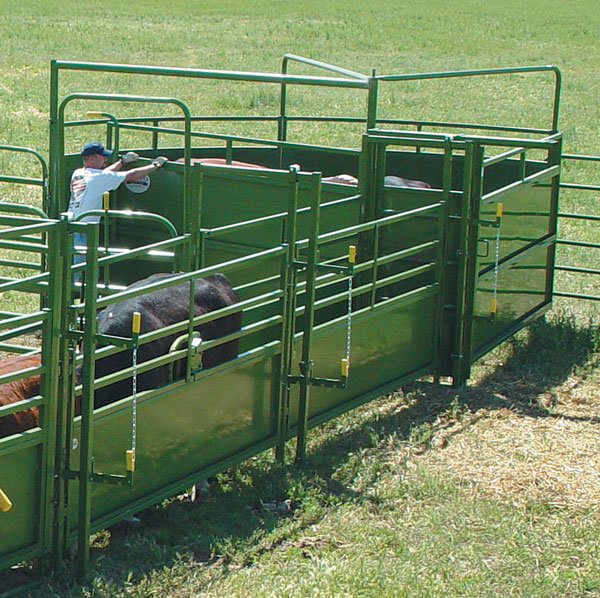 The Classic Deluxe System is the perfect way to work cattle of any size. 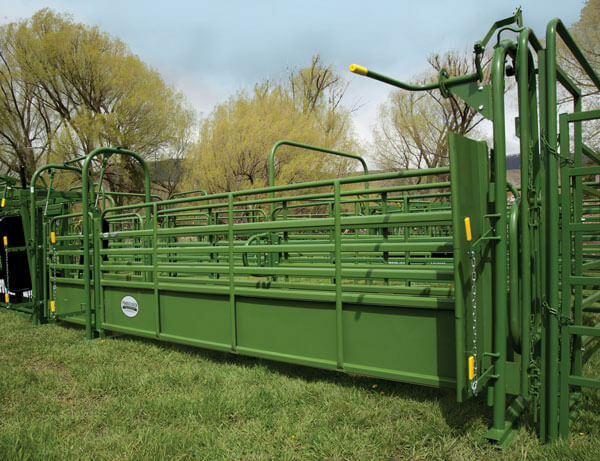 It includes a single gate, center feed sweep tub, Alley roll gate, and 20-feet of half-sheeted adjustable alleyway and includes and alley stop. 10 foot add sections of alley way are available and can increase the amount of throughput the system can handle. An optional cutout section is also an available add-on. The half sheeted alleyway allows easy access to the cattle from the ground. 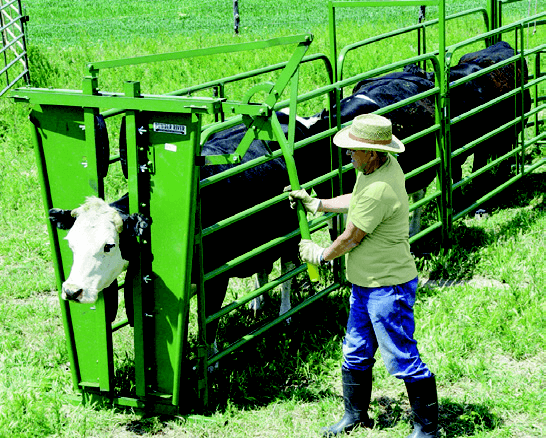 The tub design flows easily as cattle move toward the corner away from the operator and the latches.